Sites such as Olx, pigiame, buyandsell and many others feature used computers for sale. Private companies and government will dispose off old computers once in a while. They usually do this by issuing disposal tenders or by organizing auctions. Peruse the daily newspapers for these advertisements. There are many Kenyan companies that import refurbished computers from the UK and US. Many of these companies are located within the CBD, that is, Moi Avenue, Kenyatta Avenue, Koinange Street and Jamia Mall. There are also others such as Computer Planet located at Visions Plaza on Mombasa Road. 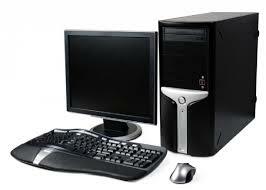 These importers are ideal if you are looking to make a bulk purchase of used computers in Nairobi. They also give you a warranty, usually three months.